Travel around the world in the most luxurious trains, where slow, leisurely journeys are infused with classic elegance, sumptuous meals, and cosy cabins interposed with opulent accommodation in the world’s best hotels. The Client: Eschewing regular trips, this traveller would rather go the road less commonly travelled and explore foreign landscapes filled with natural beauty. The Locomotive: The Ghan with Great Southern Rail will take you to the Australian outback, the Red Centre between Adelaide and Darwin. This dark red locomotive has been operating for more than 80 years. Going the Distance: Travel 2,979km over 54h to view the best Australian landscapes, with a stopover at Alice Springs and Katherine. Lavish Accommodation: The Platinum Service cabins are twice as large as the Gold cabins and come with a double bed or twin beds which can be folded discreetly away during the day by the personal cabin steward. Platinum guests also get to bring a total of 75kg in luggage on the train. Must Try: Off-train excursions like a heli flight over Mt. Gillen in Alice Springs to view the Simpson’s Gap, one of the most iconic water holes in the region. Additionally, explore the Top End with the Twin Parks Fixed Wing Scenic Flight to discover the area’s greatest secrets. Experience star-filled nights twinkling across the length of the MacDonnell Ranges or even fly around Uluru (prices for these upon request). Starstruck: Reality television shows like MasterChef and Amazing Race have filmed episodes on this train. The Price: The Adelaide to Darwin itinerary will cost about US$3,269. The all-inclusive price will also include standard Australian wines, beers, spirits and soft drinks as well as return private transfers. The helicopter and Twin Parks Fixed Wing Scenic Flight will cost about US$669 in total. 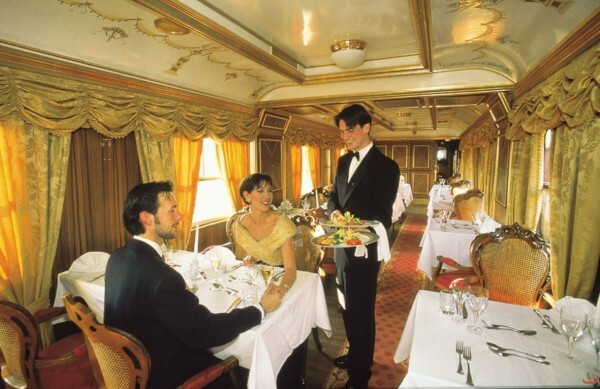 The Client: Wistfully gazing into the past, this traveller loves the glamour and opulence that luxury train rides held then, where guests dutifully dressed up in their livery for each dinner. The Locomotive: He’ll be right at home onboard the Venice Simplon-Orient-Express, where the dress code is smart casual – jeans not allowed- during lunches and at least suit and tie for dinner. Guests usually don black tie or evening dress though. This gentleman will also be thrilled with the façade of this train, lovingly restored to its 1920s and 30s splendour, while the interiors are opulent with crystal, plush fabrics and polished woods. Going the Distance: What could be more iconic than the five-night Signature Venice Journey that passes the magnificent Swiss Alps, picturesque vineyards and villages? This trip includes a day in the bustling metropolis of London before reaching Venice two days later. Lavish Accommodation: Choose a Cabin Suite, which connects two cabins, a rarity unheard of on most other trains. The trip also includes stays at the lavish Ritz London and Belmond Hotel Cipriani. 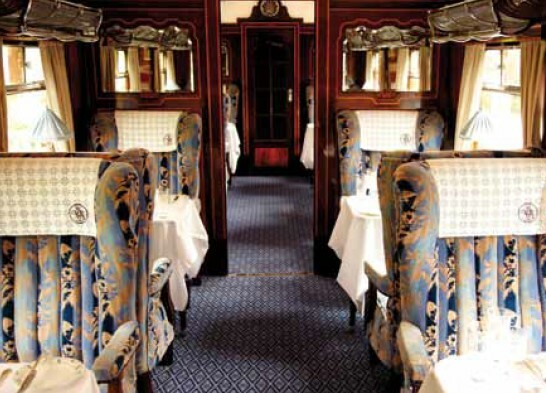 Must Try: Stop over at Brussels, one of the Venice Simplon-Orient-Express’s newest stops for the year. The country recalls the train’s most synonymous detective Hercule Poirot as well as local Georges Nagelmackers. The latter created the Orient Express train service from Paris to Vienna. Starstruck: The famed train has been featured in popular culture covering games and animation, films, music, television and even literature. In particular, a television special starring illusionist David Copperfield seemingly made a dining car disappear. The Price: The signature journey starts from US$8,515 per person, while the additional 2 day 1 night stopover will cost about US$2,620. The Clients: Wishing to experience luxury train travel together, this three-generation family is searching for a train that can accommodate their whims – something rather difficult to find as the trains are limited in size and usually do not cater for children. The Locomotive: The Deccan Odyssey comprises 21 coaches that are inspired by the imperial carriages that the Maharajas once used for travelling. Each of the coaches is inspired from a different Maharashtra royal era. Going the Distance: The eight-day, seven-night Indian Odyssey will travel from Delhi to Mumbai, stopping at cities like Agra, Jaipur, Jodhpur and Udaipur. Lavish Accommodation: The Presidential Suite, which can sleep up to two adults and two children. Adolescents can avail of the Wi-Fi facilities, or be occupied by the range of games that the Deccan Odyssey has in stock. Pamper yourself in the train’s dedicated spa carriage and try the best of Ayurvedic therapies. Must Try: Visit architectural gems and the UNESCO World Heritage Sites of Ranthambore, Agra, Jaipur and Vadodara, while the children can go on wildlife safari and tiger sightings at the Ranthambore National Park. Additionally, Rajasthan’s local bazaars will thrill the group’s shopaholics. Starstruck: The Deccan Odyssey was waved off by state tourism minister Chhagan Bhujbal, when it resumed its services in 2011. It is renowned as one of the most luxurious trains in the world, winning Asia’s Leading Luxury Train three years in a row at the World Travel Awards. The Price: Book the Presidential Suite of the Indian Odyssey (about US$11,025 per cabin for the entire journey). The Client: Obsessed with times past is perhaps putting this guest’s passion too lightly – this educated gent can rattle off main events, years, protagonists and antagonists of the world’s history without the slightest pause. He requires a locomotive that is teeming with stories of the past, replete with personal anecdotes to be committed to memory. The Locomotive: The Majestic Imperator Train De Luxe is a replica of the imperial trains built for the Emperor and Empress of Austria. It’s the only one that has survived and has been placed under the care of the Prague Technical Museum. The train has been designed according to their wishes, with brass trimmings, ivory handles, oak parquet floors, a muffler with special wooden wheels for sound insulation and artistic wood-carving which took 6,000h to complete. Modern details like a BOSE system on the dance floor, kitchen with large walk-in refrigerator have also been added. Going the Distance: Travel across Vienna to the Adriatic coast in Croatia on one of the world’s oldest mountain routes, on a four-day trip from 26 to 30 October this year. Must Try: Organise unique events, like a culinary opera experience or an interactive thriller comedy where guests will have to solve a murder mystery, while dining on a four-course gourmet menu. Starstruck: The train was christened by the youngest surviving member of the royal family, Maria Christina Habsburg-Lothringen. Other distinguished guests include the then-US President Jimmy Carter, Prince Hassan and his family from Jordan, Her Royal Highness Princess Bajrakitiyabha from Thailand. The Price: The four-day journey starts from US$1,662. 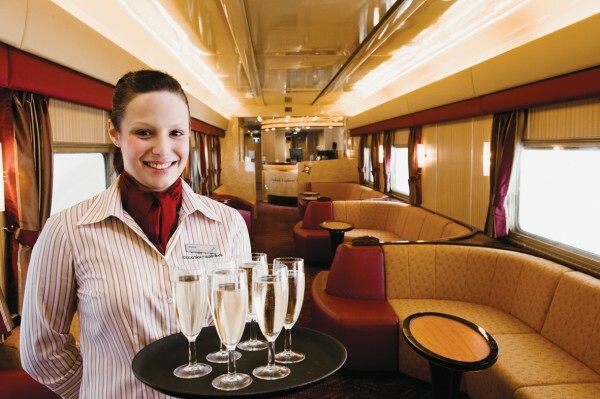 Private charter of an individual carriage will cost about US$5,448. The Client: A seeker of the finest gourmand experiences, her standards while travelling on a train are still equally high. 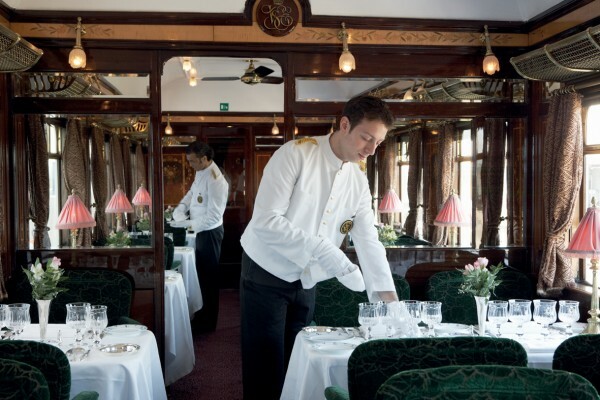 The Locomotive: Without a doubt, the Belmond British Pullman is the palatable choice as it has invited renowned chefs like Tom Sellers, Anton Mossimann and James Martin for exclusive pop-up dinners. This train is made up of Pullman carriages, with the oldest dating back to 1925 and others having survived bomb damage in air raids in 1940. Going the Distance: Apart from same-day trips around the British countryside, British Pullman offers occasional weekend breaks. These include a Friday to Sunday trip to the Chatsworth House (about US$630). Depart from London and feast on a delicious brunch with Bellini to explore the country house. A five-course dinner with champagne and a bottle of wine will be available on the return trip. Lavish Accommodation: Stay in The Ritz London (www.ritzcarlton.com), the partner hotel and accommodation for the Dinner and the Ritz journeys. The hotel has been awarded the Royal Warrant from His Royal Highness, the Prince of Wales. Must Try: The Dinner and the Ritz journey, hosted by Tom Sellers on 10 October. It departs from Victoria station, London and will allow gourmands to sample a special five-course menu that has been created for this journey. Starstruck: Some of these carriages have been used by the British royal family, while others have carried then-President de Gaulle and Nikita Khrushchev. Two were even part of Winston Churchill’s funeral train. The Price: The dinner experiences will cost up to US$1,290, while the Friday to Sunday Chatsworth journey is available at US$630. The Client: Having the luxury of time and money, the rich retiree wishes to travel around the world. 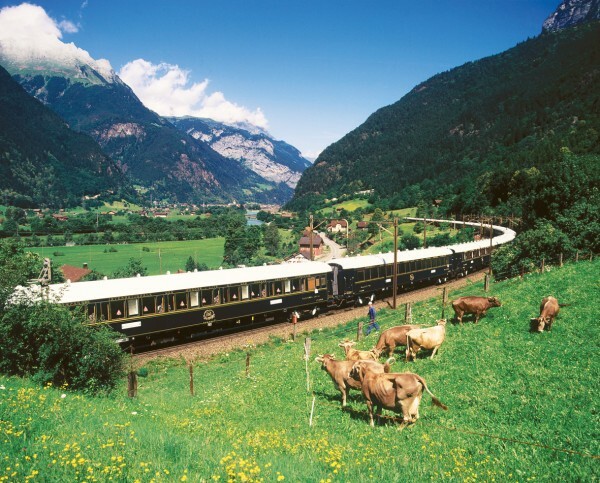 The Locomotives: On the 53-day round the world trip by rail, the rich retiree will use nine different train services including the Venice Simplon-Orient-Express and the Tsar’s Gold Private Train. Going the Distance: The journey will span nearly 23,000mi and pass many of the world’s most iconic landmarks such as the Statue of Liberty, the White House, the Grand Canyon, the Bund, the Great Wall, Buddhist Gandan Monastery, Russia’s largest Opera House to name just a few. 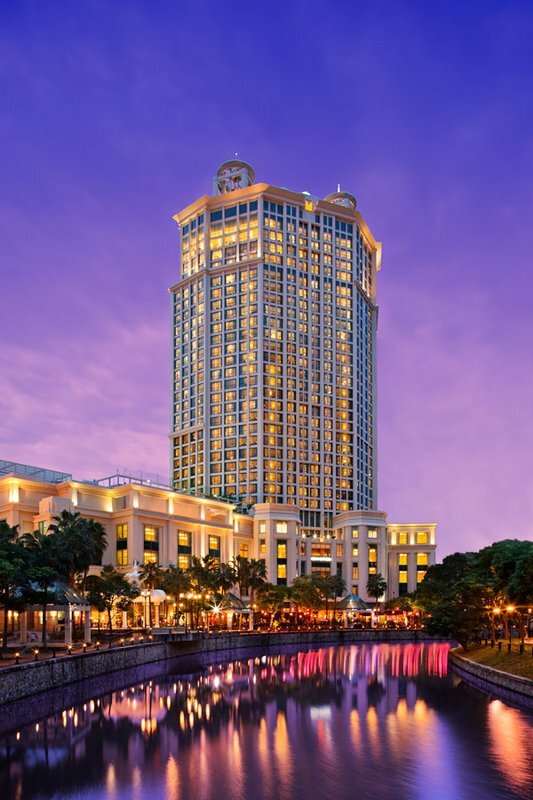 Lavish Accommodation: The itinerary also includes stays at 20 different hotels, including the luxurious Waldorf Astoria Hotel in New York City, the RMS Queen Mary, and the Kempinski Hotel Khan Palace. Must Try: Included in the package is a flight over the Grand Canyon to view the world’s oldest and largest freshwater lake, the Lake Baikal. Definitely try the Tsar’s Feast – a meal that includes caviar and vodka tastings. Starstruck: Alan Whicker, Michael Palin and David Suchet have been guests. The Price: The trip, arranged by Great Rail, starts from about US$37,690. The Client: Constantly on the go, this traveller avoids long journeys unless her next adventure is clearly in her sights. It’s a challenge for her to stay still long enough to listen to lectures by historians, which is a common pastime on trains. 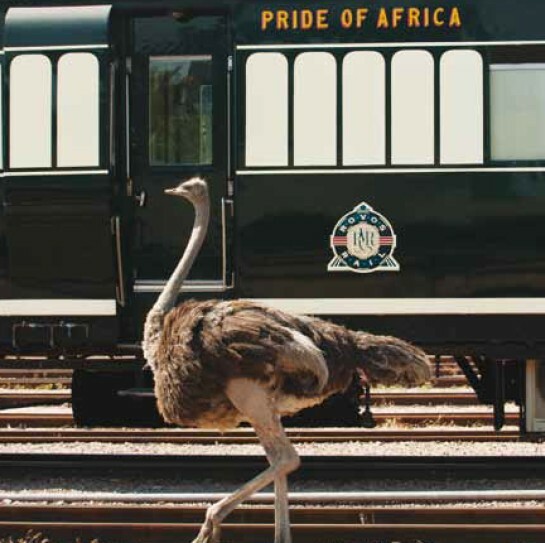 The Locomotive: Definitely the Rovos Rail whose itineraries are packed with game drives, golfing and safaris. Going the Distance: The 10-day Durban to Victoria Falls itinerary will include game drives or battlefield tours, and a visit to the glorious Falls. Here she’ll delight in a smorgasbord of exhilarating activities, such as helicopter rides over the Victoria Falls, elephant-back safaris, walking with lions, river rafting or even bungee jumping. Lavish Accommodation: The largest accommodation on the train is the 16sqm Royal Suites, designed with wood panelling and period Edwardian features. Must Try: Tee off in amazing golf courses with the African Golf Collage, a separate trip that golf aficionados should definitely try. The nine-day journey will include game drives in the oldest reserves in Africa, an ostrich farm and brandy distillery visit, and golfing in five different golf courses. Starstruck: Rovos Rail has accommodated several celebrities, photographers and journalists. It has also been featured on the Travel Channel. The Price: The African Golf Collage will cost about US$8,856, while the Durban to Victoria Falls is packaged at US$7,726. The Client: Worried about his impact on the environment, this traveller seeks the most eco-friendly way to travel across the country. 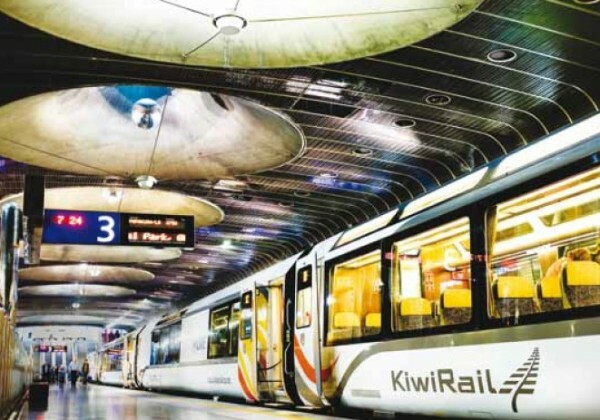 The Locomotive: Kiwi Rail’s Northern Explorer train is befitting as it efficiently uses fuel via the driver advice system (Energymiser) to identify the best points to coast, power and brake to conserve energy. The new fleet also incorporates diesel engine technology, fuel efficient engines that translate to lower carbon dioxide emissions. Going the Distance: Travel on a 4-day itinerary from Wellington to Auckland with a traditional Māorihangi buffet dinner and cultural performance included. Lavish Accommodation: Book the Suite (price upon request) at the Novotel Rotorua Lakeside (novotelrotorua.co.nz), as the train does not have accommodation onboard. Must Try: Visit the geyser, boiling mud pools and the Maori Arts and Crafts Institute at Te Puia. Additionally, enjoy a guided tour of the famous Waitomo caves, with a boat ride into the glowworm grotto. Starstruck: Past guests have included the finalists of the Great Scenic New Zealand Photo Competition. The Price: The four-day itinerary will cost about US$1,082 per person.